The island of Bali continues to be a desirable destination for couples to celebrate their love. 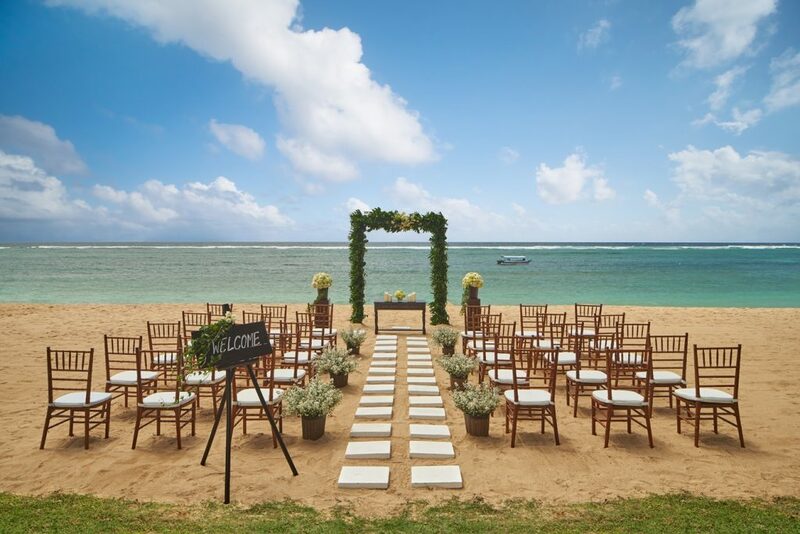 With this in mind, The Westin Resort Nusa Dua, Bali has enhanced its wedding services to include its existing venues with revitalized set-ups and all-inclusive packages, all of which were on full display during the resorts inaugural Wedding Showcase on Wednesday, 3rd April 2019. 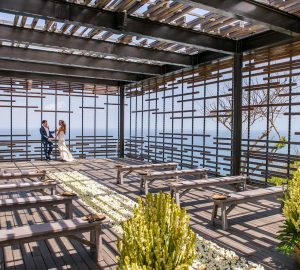 The Wedding Showcase was an opportunity for local wedding organizers and bridal vendors to experience what Westin Bali has to offer during an evening of tropical elegance. 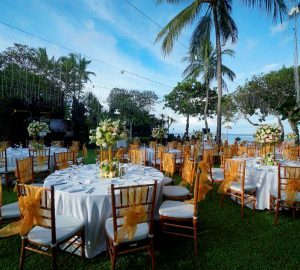 The event essentially highlighted three versatile outdoor venues within the resorts expansive grounds that are now available for private ceremonies and reception dinners. These environments were impeccably styled with fresh flowers and decorative elements to demonstrate how they will look for an actual Westin Weddings. Enveloped by exotic greenery, the Summer Garden is the largest option that can cater to up 400 guests. It is perfect for an Indian wedding that involves age-old cultural customs such as a welcome dinner, mehendi ceremony, morning puja and other symbolic rituals. The Beachfront Temple Garden is a manicured lawn that flows into the white sands of Nusa Dua beach. This particular stretch was recently voted one of the best beaches in Asia by TripAdvisor. Here, couples can exchange their vows and toast their union in true island style overlooking the gentle waters of the Indian Ocean. Similarly, the Temple Garden is a beautiful space with a traditional Balinese Hindu shrine as a backdrop. 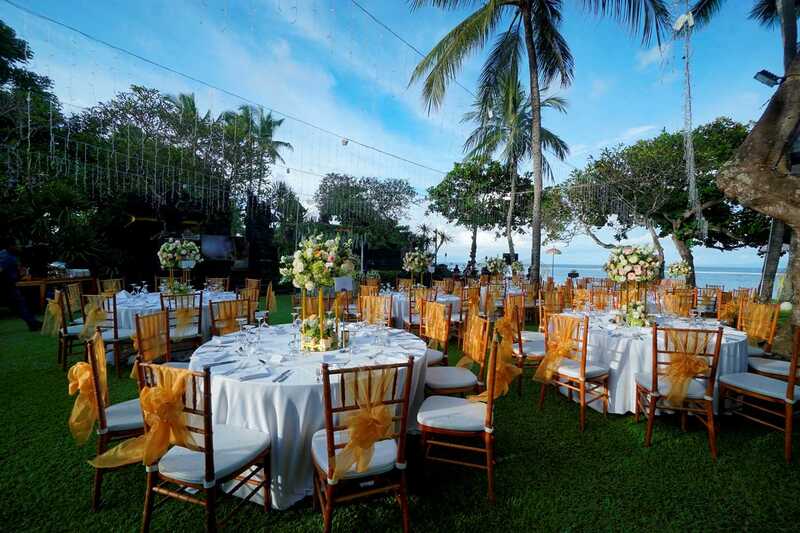 This picturesque area can be decorated in accordance to any color preference or floral theme and is suitable for intimate gathering of up to 120 people. The Wedding Showcase included a guided tour for organizers with a detailed explanation about each specific venue and information about Westins all-inclusive wedding packages. Two exceptional options are available for 50 to 100 guests complete with free flow canapes, beverages, buffet dinner and wedding cake. 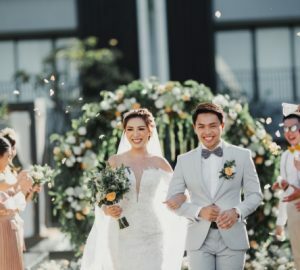 Other benefits such as a photographer, celebrant, flower girls, violin, sound system, dance floor, DJ and fire dance entertainment are all part of this irresistible Westin Weddings deal. Mr. Oriol Montal, General Manager of The Westin Resort Nusa Dua, Bali opened the event by extending a warm welcome to everyone in attendance. He then proceeded to introduce the key associates who are currently responsible for ensuring that every Westin Wedding is perfectly executed with precision and care. During the event, there was also a fashion parade featuring the latest bridal trends by leading Indonesian Designer, Ali Charisma and live entertainment to set the mood. A delicious dinner created by the resorts culinary team was a flavorful medley of innovative dishes. This was followed by a selection of sweet treats by pastry extraordinaire, Chef Mimin Mintarsih. Every Westin Wedding promises intuitive service and thoughtful touches for a magical moment to treasure always. An expert team is on hand every step of the way to handle all details from the initial planning stages for finalizing any last-minute arrangements on the wedding day itself. For more information, please visit the website www.westin.com/bali or follow the resorts social media channels Facebook www.facebook.com/westinbali and www.instagram.com/westinbali.